The Central Library’s Second Floor will remain closed to customers for at least the next week. The public areas such as the Travel, History and Local Heritage sections are in excellent condition, but many bays in the magazines storage room at the northern end were damaged. These have now been cleared and the stack magazines put into storage. That stack space will be used to accommodate some teams of Council staff from the Council’s Civic Administration Building which is being assessed further. As soon as noisy interior works are completed for this temporary change, this quiet reading zone will open again to customers. 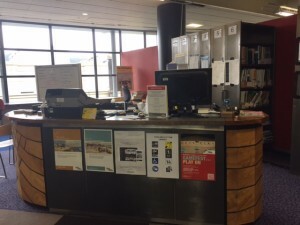 In the meantime, current newspapers are available from the First floor, and library staff there are very happy to retrieve books or library items normally located on the Second floor public areas. Staff are also available to show library members how to access travel, history or NZ eBooks from our Overdrive and Borrowbox collections or use PressReader (hundreds of current international newspapers) via www.wcl.govt.nz/pressreader.